Earn $2.00 in Rewards credit (200 points) What's This? 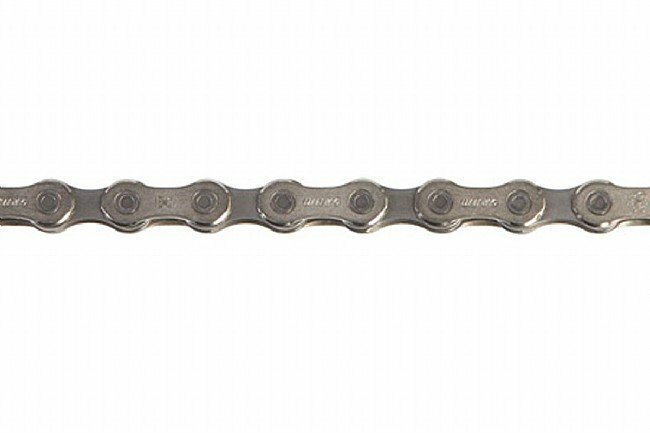 SRAM's most economical 10-speed chain with nickle plated outer links and solid pins. The PC-1031 features an updated outer plate design for quieter performance. Includes Powerlock link for tool-free installation and removal. This chain works with my Ultegra 6700 group. The feature I like about this chain is it's PowerLock connecting link. I use this chain on my daily commuter here in the Pacific Northwest. Sram makes a quality chain that can take all that winter can dish out. Always great service, and price are fantastic. The chain broke after less than 300 miles. Granted there was a missed shift a few minutes preceding the failure, but I've never had a chain break under similar circumstances. Had a chain breaker and a spare link so it was a five minute or less fix, but I was 30 miles out in the boonies from home and out of cell phone range, so it could have been ugly. A few days later when cleaning and lubing the chain I found more cracked outer plates. i suspect poor quality control in the plating or heat treating process and hydrogen enbrittlement as the culprit.